File Form 1040 to claim therapy sessions as a tax deduction. Qualified medical expenses in excess of 7.5 percent of your annual gross income may count as a tax deduction up to the tax year ending in December 2012. Beginning in 2013, the amount over 10 percent of your gross earnings may be eligible as a deduction. Fees you pay for therapy sessions are among the medical expenses that might lower your tax liability. 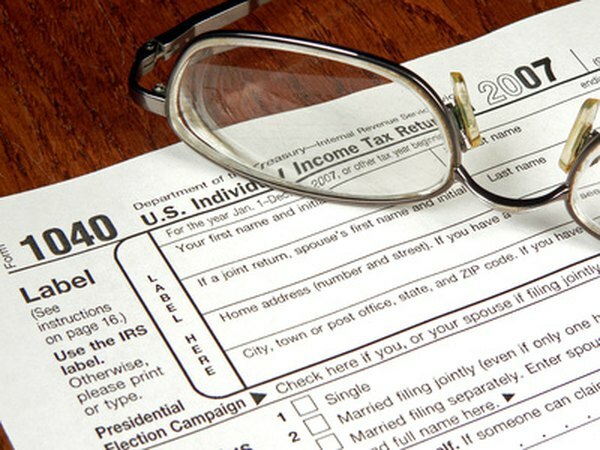 When you file your return on Form 1040, you have the option to claim a standard or an itemized deduction. Either write-off reduces your taxable income and lowers your tax obligation. The IRS calculates a standard income deduction for each taxpayer's filing status. Compare it with your total qualified medical and other tax-deductible expenses. If the payments you made are more than the standard deduction, use your itemized expenses to adjust your income and enjoy a larger tax break. Even if your therapy sessions total more than 7.5 percent -- or 10 percent -- of your gross income, they do not place you in the lowest tax bracket possible if the standard deduction is higher. Tabulate all your deductible expenses, not just the counseling fees, on Form 1040, Schedule A. Qualified payments include other healthcare expenses, dental expenses, mortgage interest, personal property and other taxes and donations. On page 2 of Form 1040, add the itemized figure on the appropriate line. You have the option to claim the itemized deduction even if it is less than the standard. An accountant is valuable in identifying all your eligible expenditures. She can also advise you as to whether it will hurt or help to claim a lower itemized deduction. Do not submit your receipts for therapy sessions with your tax return. Store them with your tax documents for that year in case the IRS audits your file. If your health insurance policy reimburses you for any portion of the counseling fee, you may only claim a deduction for the balance that is not eligible for a refund. As proof of expense, the IRS accepts canceled checks, credit, debit and bank account statements, as well as signed cash receipts that display the payee’s name, payment date and amount you paid for the therapy session. The IRS may ask you prove the expenses on a tax return for an indefinite period of time -- but only if it suspects you submitted fraudulent information. Normally, the U.S. tax code allows the agency to audit returns for up to three to seven years. Save your supporting receipts for at least that long. Reduce the clutter and save space by scanning your returns and storing the electronic files in discs, says personal finance writer Shelly K. Schwartz on USA Today’s website. Can You Use Credit Card Statements as Proof for Tax Write-Offs? Are Dentures a Tax Write Off?